The accumulation of dust and other contaminants in your ducts and vents can be the cause of several problems with your indoor air. The U.S. Environmental Protection Agency (EPA) has listed poor indoor air quality as America’s fourth-largest environmental threat. 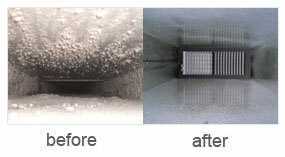 ServicMaster DAK is the air duct cleaning company who cares about your indoor environment.